As we evolve for a linear model of economy to a nonlinear one. What we make and how we make it, what we do with our waste and how we waste that too. We start to see a new horizon where our obituary won’t be what we have sent to the landfill but something more elegaic and life affirming – nonlinear innovation and practice means we become part of the circular economy. 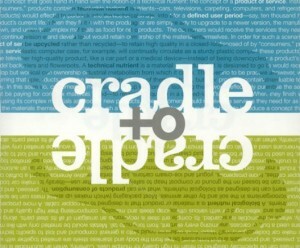 Described as cradle to cradle. 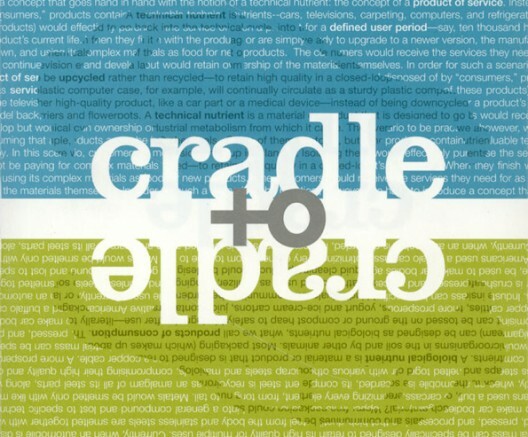 The Wikipedia intro describes the idea thus Cradle to Cradle design (also referred to as Cradle to Cradle, C2C, cradle 2 cradle, or regenerative design) is a biomimetic approach to the design of products and systems. It models human industry on nature’s processes viewing materials as nutrients circulating in healthy, safe metabolisms. It suggests that industry must protect and enrich ecosystems and nature’s biological metabolism while also maintaining a safe, productive technical metabolism for the high-quality use and circulation of organic and technical nutrients. Put simply, it is a holistic economic, industrial and social framework that seeks to create systems that are not only efficient but also essentially waste free. The model in its broadest sense is not limited to industrial design and manufacturing; it can be applied to many aspects of human civilization such as urban environments, buildings, economics and social systems. This film is a wonderful journey into the next phase of our economic and social development. Whereby people, planet and our economies become aligned. The first step towards a regenerative society is, understanding that everything is connected. From the cosmos to us, we are made of the same stuff. All living systems are connected and interconnected. First we need to see that everything is connected to everything else – because if it would not be connected then life does not go on and there can be no transformation. But if everything is connected we can see how we can create for a transformative world. We must understand that the very small is as important as the very big. We have become rather myopic in this regard. ‘Economies of scale’ thinking have indeed neutered our creative capacities to see the potential in other ways of doing things. wast = food [cradle to cradle] from TRAUMSTOFF on Vimeo.